« Do colleges PUSH Democratic Socialism? Republicans set to impeach Deputy Attorney General Rod Rosenstein! 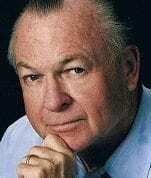 With guest Retired Major General Paul Vallely says, people don’t realize how effective this President is right now. It’s unbelievable what he gets done every day! The biased media has been screaming all week about how Trump can’t make demands on the EU about tariffs, saying he’s alienating our allies. Today Trump met with the leader of the EU, and now they’re redoing tariffs to be more fair to the U.S! Russia is not as big a threat as we make them out to be. North Korea has dismantled another nuclear location. They’ve backed off their aggressive program. CIOG (Coalition of Iranian Opposition Groups) working for a new free democratic Iran. The regime could fall within the next 12 months. Funded by Saudi Arabia and the United Arab Emirates. Think world leaders don’t have respect for President Trump? Over 35 world leaders have come to Washington DC to meet with President Trump since he came into office.